My mother was a great pie-maker and a hoot! Marguerite Marie (Garnier) Young, known to friends as “Marg or Meg” passed away on the anniversary of Elvis’ death in 1997 at the age of 67 (or 68). She was never quite sure of her birth year as she had two birth certificates, dated a year apart. She would have chosen 67. I choose 68. Mom was very colorful and not at all like the ‘other moms’. Her speech was salty, she liked a beer or two on occasion, smoked cigarettes (but oddly, never inhaled) and had a wicked sense of humor. There were times that as a child, I would be “so embarrassed” by her blatant disregard for what we now refer to as ‘political correctness’. She thought I needed to ‘loosen up a little’. Mom ‘called it as she saw it’ and if you didn’t like it – leave. She laughed easily and heartily…actually, that’s an understatement. If you were her friend, you were loved and you knew it. If you ‘crossed’ her, you only did it once and you knew it. Everyone was her friend until proven otherwise and loyalty was essential in her relationships. She was a caring and compassionate soul – and as sharp as a tack. Not unlike many women of her time, in the 1950’s and 60’s, mom was a housewife and mother. There were four of us screaming kids and we were all about two years apart. We were raised Catholic and attended parochial school. One morning, at breakfast in the early 60’s, it was announced (on the radio) that the birth control pill was being made available to the public, but that the Pope had deemed it a sin should a Catholic woman take the pill in order to prevent pregnancy. I recall my mom simply saying, “Well then, when the Pope starts having my babies, then he can tell me to stop taking the pill.” Enough said. Mom remained a faithful, sacrament-taking, confession-going, birth control pill taking Catholic. Who knew? I had an aunt that I was unaware of. I knew mom’s family history was a little complicated but I had to find out more. After giving my new aunt a big hug and encouraging her to continue going through the album, I headed straight to the-one-who-knows-everything-in-the-family, my sister, Bobbie. “So, who’s mom’s sister?” I said nodding toward the grief-stricken woman I had just spoken to. “Oh, that’s just Mary” she said. The story goes that mom met Mary, a poor, simple-minded woman who lived not too far away. One day, Mary called her and announced that she had reason to believe that they were sisters. Without missing a beat, mom decided… “What the hell, if she thinks I’m her sister, I’ll be her sister. 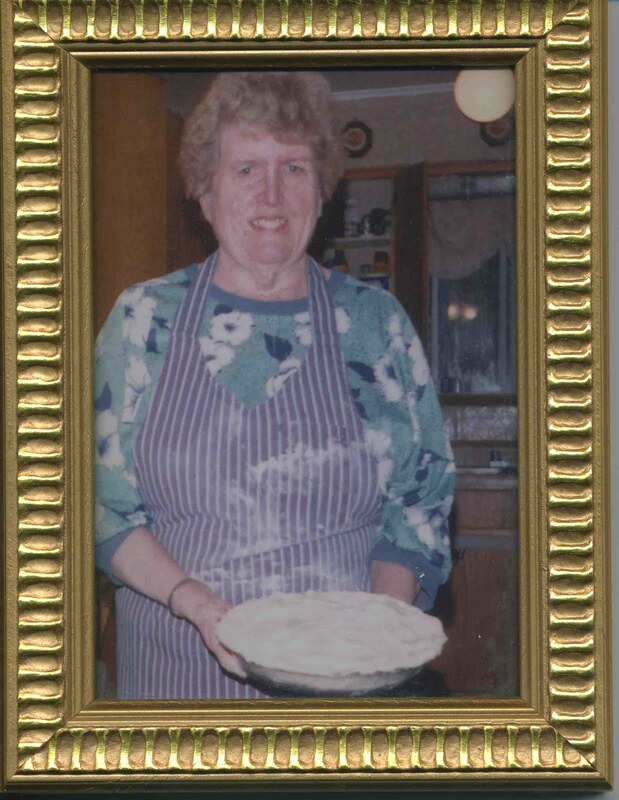 It can’t hurt.” Following Mary’s declaration, mom would bring her food and clothes – remembering her on her birthday, Christmas and special occasions. She treated her like a sister and never told Mary that she doubted it. I loved that about mom. It sounds like your mom was an amazing person and definitely had a mind of her own when that wasn't encouraged in women. Thanks so much for sharing a bit of her with us. Another odd coincidence...I too went to parochial school. Weird. Great story. Your mom sounds like she was one awesome lady. Heather & Alissa - Thank you. Mom was one of a kind.